On Sept. 5, 2017, the President of the United States directed the U.S. Department of Homeland Security (DHS) and U.S. Citizenship and Immigration Services (USCIS) to phase out and eventually end DACA over the next two and a half years. There are several moving pieces in an effort to find a responsible resolution. We will do our best to post information on our website and social media platforms. 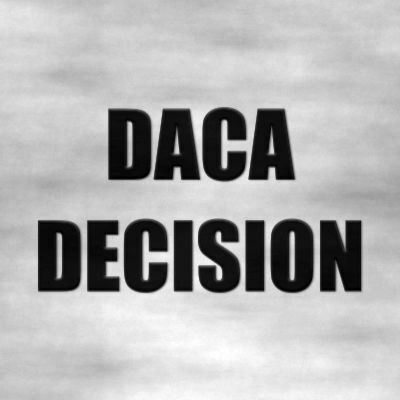 On Jan. 9, 2018, a U.S. District Judge issued a ruling ordering the administration to resume accepting renewal applications for the Deferred Action for Childhood Arrivals (DACA) program. The ruling impacts individuals who were previously granted deferred action under DACA, and does not permit new applications for DACA status. On Nov. 8, 2018, the Ninth Circuit affirmed the District Judge's decision on appeal. The government is likely to appeal to the Supreme Court. For more information on renewals please visit the USCIS website. On Aug. 3, 2018, a different U.S. District Judge issued a ruling ordering the administration to restart DACA in full, but that order has been stayed while the government appeals. To promote the social, economic, educational, and civic advancement of the DFW Metroplex Hispanic community by making the legal system more accessible to the Hispanic community and more responsive to its needs. 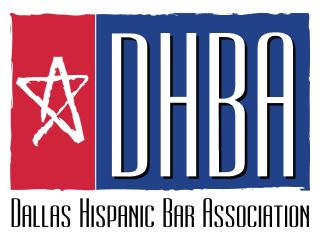 The Dallas Hispanic Bar Association provides a forum where Hispanic attorneys in the DFW metroplex can gather ideas and to pursue common goals. The purpose of the DHBA is to promote the social, economic, educational, and civic advancement of the DFW Hispanic community by naming the legal system more accessible to to the Hispanic community and more responsive to its needs.